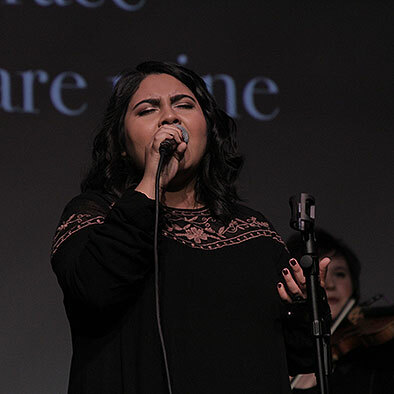 REDDING, Calif. - More than 1,000 people gathered for a free collaborative worship concert March 3 featuring Simpson University choral ensembles and Redding-based singer-songwriter Kristene DiMarco and her band. 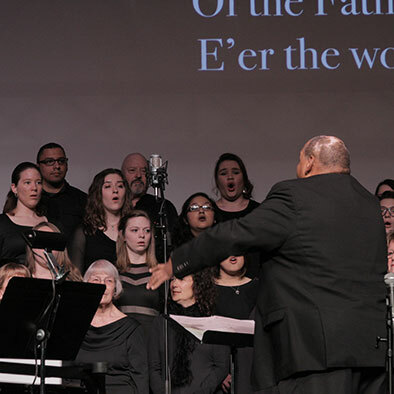 The "It Is Well" concert was directed by Dr. Cyril Myers Jr. and showcased Simpson music students and faculty, the Simpson Chorale, and Trinity Repertory Singers. Members of the Weaverville Community Chorus joined the groups onstage for a rousing number titled “Hope for Resolution.” The concert was held in the James M. Grant Student Life Center on campus. 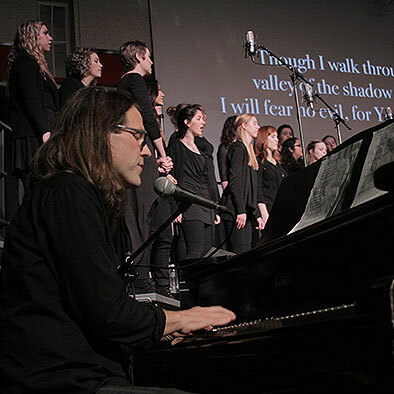 “In my experience, there is no greater or profound statement of collective and unified worship and community than participation in a chorus,” he said. 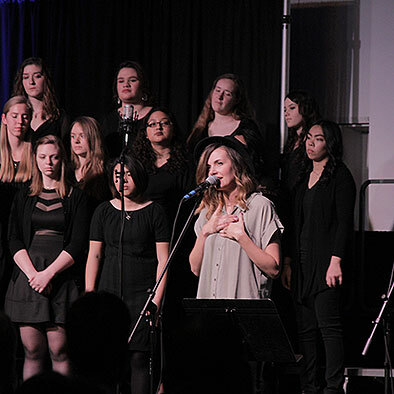 Featured Simpson University music students included Sarah Meng, Ericka Thompson, Melissa Muffley, Julianna Valencia, and Hannah Ferguson. In addition to Dr. Myers, Simpson music faculty members Dr. Dan Pinkston and Dr. Dwayne Corbin also participated, vocally and instrumentally. 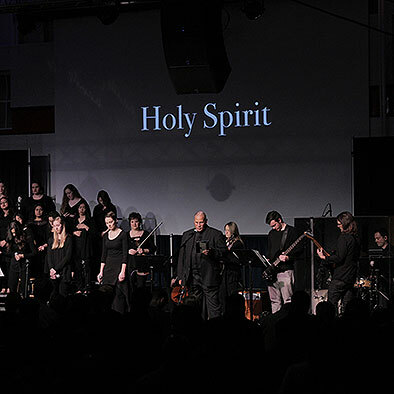 Simpson University’s Music Department offers bachelor’s degrees in composition, music education, performance, worship ministries, and music liberal arts. 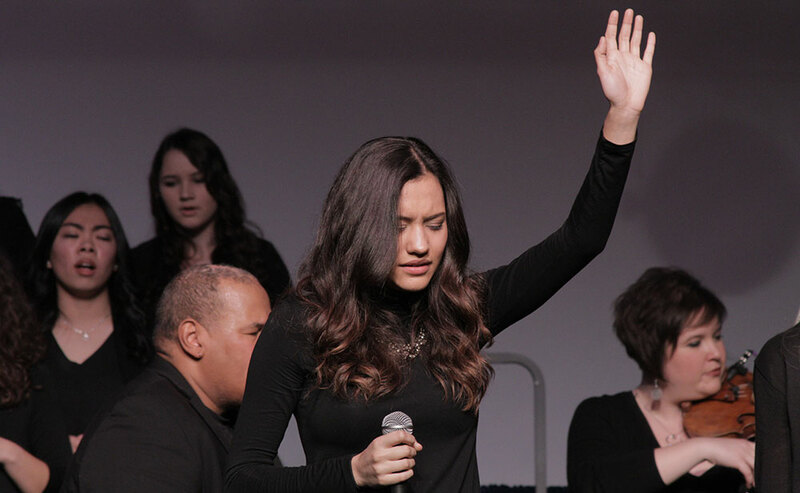 Learn more at simpsonu.edu/music. Click photos to view slideshow. 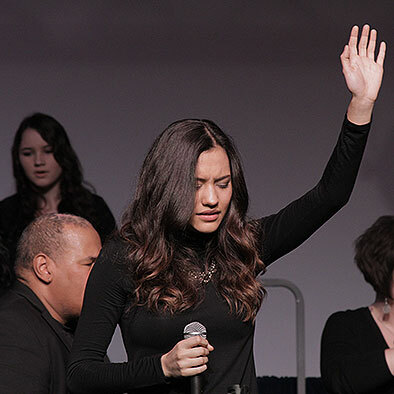 Top: Kristene DiMarco and the Simpson Chorale lead the audience in worship March 3 at the 'It Is Well' concert in the James M. Grant Student Life Center.